What classes count for the minor? We have a list of the permanent catalog courses that may be used for the minor on the minor’s web site. How do I declare the minor? Check with your academic advisor to ensure you have enough time in your schedule to complete the minor as well as your major and general education requirements. If you do, download this form and arrange to see me. We’ll discuss your schedule, and once I approve you for the minor you can bring it back to your advisor [EDIT] go to Myrtle Hall and turn it in to the Registrar’s Office and be registered. When do you have office hours? I hold regular office hours Tuesdays noon-2pm in DeKalb 108. I can also make appointments at other times pending my teaching schedule and committee obligations. Art students who would like to conserve supplies can check out Turn Up Art’s room to get salvaged materials. Turn Up Art is also in the basement of the Engineering building. The library’s expert research librarians have developed a set of useful LibGuides for pursuing sustainability research. Here’s one for the Sustainable Core course. We have access to several databases relevant to sustainability, including Building Green (case studies of sustainable architecture projects around the world) and Material ConneXion (materials library in Manhattan with searchable database indexed on materiality issues such as durability, toxicity, recyclability, and just about any factor a designer would want to consider for clothing, buildings, furniture, or the range of designed goods). Access is free for Pratt students logged in through the campus network. Does Pratt have student groups interested in environmental issues? Yes. Pratt Envirolutions meets regularly during the school year; the faculty advisor in 2015-16 is my officemate Professor Jen Telesca. Pratt’s chapter of the New York Public Interest Research Group (NYPIRG) regularly undertakes political action campaigns related to the environment. Pratt students have also worked with groups such as Greenpeace, though the two organizations above have perhaps the most visible presence on campus. What do I do if I have questions about the minor that are not answered by this page? Talk with me and I will do my best to answer them. This entry was posted in students, sustainability, teaching and tagged students on August 20, 2015 by Carl Zimring. At Pratt, we are fine-tuning our social media, and one of the results of that effort is the new, updated Sustainability Studies minor page. Pratt undergraduates curious about their options in the 15-credit minor can see which courses are required, what electives are offered, and follow links to those courses’ links in the schedule. The department is likely to expand the list of elective offerings for the minor in the future, and this page is an excellent resource for students curious about the program. If you are interested in the program or its courses, feel free to ask me questions. This entry was posted in students, sustainability, teaching on February 13, 2015 by Carl Zimring. The Spring 2015 semester begins at Pratt today, and students in the Sustainability Studies minor have several options for classes. I am leading a team of Pratt Institute faculty teaching SUST 201 The Sustainable Core, which remains open for registration. This course is designed as our introduction to sustainability, is the required core course for Pratt’s Sustainability Studies minor, and is an excellent way to get familiar with the many ways sustainability is practiced at Pratt. Spring 2015: Mondays, 2pm-4:50pm. 3 credit hours. In addition, Assistant Professor Jennifer Telesca (Pratt’s newest Sustainability faculty member) has two new special topics courses of interest. The first is SS 490-15 Environmental Justice, offered Thursdays from 2-4:50pm. While aspects of EJ are covered in SUST 201, SUST 401, and SUST 405, this seminar gives students the opportunity to have in-depth discussions of equity issues relating to the environment. Jen Telesca is also teaching two sections of The Human-Animal Relationship. While the Tuesday section (SS 490-21, Tuesdays from 2-4:50pm) is filled to capacity, SS 490-22 is offered Wednesdays from 9:30am-12:30pm and has spaces available. There are no prerequisites for any of these courses. If you are a Pratt student and have any questions for me about these courses (or about the Sustainability Studies minor), please feel free to contact me at czimring@pratt.edu. This entry was posted in students, sustainability, teaching and tagged consumption, recycling, students, teaching, waste on January 20, 2015 by Carl Zimring. An update on the two Sustainability courses I am teaching next semester. Each of these courses may count as a Social Science or Philosophy elective, each may count to satisfy credits in the Sustainability Studies minor, and there are no prerequisites for either of them. All Pratt undergraduates are eligible and encouraged to enroll. 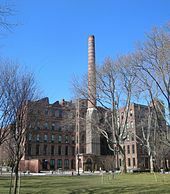 SUST 401-01 Power, Pollution, and Profit has filled to capacity, but I am also leading a team of Pratt Institute faculty teaching SUST 201 The Sustainable Core, which remains open for registration. This course is designed as our introduction to sustainability, is the required core course for Pratt’s Sustainability Studies minor, and is an excellent way to get familiar with the many ways sustainability is practiced at Pratt. Both of these courses may count as a Social Science or Philosophy elective, and there are no prerequisites for either of them. If you are a Pratt student and have any questions for me about these courses (or about the Sustainability Studies minor), please feel free to contact me at czimring@pratt.edu. This entry was posted in consumption, recycling, students, teaching, waste on November 13, 2014 by Carl Zimring. One of these courses focuses on how we power the processes that allow us to create and distribute goods, as well as transport ourselves and enjoy the conveniences of modern life. We will discuss global climate change, nuclear power, and fracking (among other topics) in SUST 401-01 Power, Pollution, and Profit. As of this morning, eight seats are still available in the seminar. Spring 2015: Tuesdays, 2pm-4:50pm. 3 credit hours. I am also leading a team of Pratt Institute faculty teaching SUST 201 The Sustainable Core, which remains open for registration. This course is designed as our introduction to sustainability, is the required core course for Pratt’s Sustainability Studies minor, and is an excellent way to get familiar with the many ways sustainability is practiced at Pratt. This entry was posted in consumption, recycling, students, teaching, waste on November 12, 2014 by Carl Zimring. I am offering two Sustainability courses next semester. Each of these courses may count as a Social Science or Philosophy elective, each may count to satisfy credits in the Sustainability Studies minor, and there are no prerequisites for either of them. All Pratt undergraduates are eligible and encouraged to enroll. In addition to that seminar, I am leading a team of Pratt Institute faculty teaching SUST 201 The Sustainable Core. 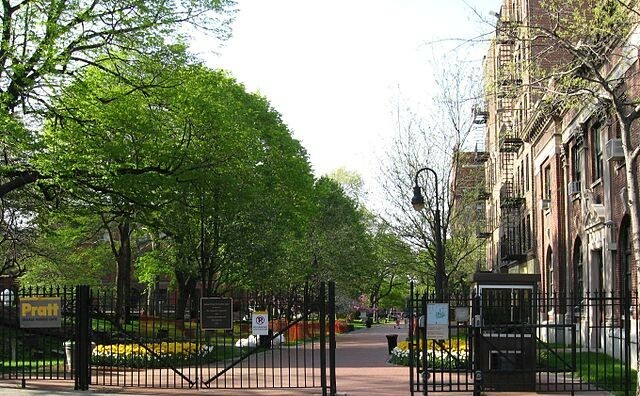 This course is designed as our introduction to sustainability, is the required core course for Pratt’s Sustainability Studies minor, and is an excellent way to get familiar with the many ways sustainability is practiced at Pratt. This entry was posted in consumption, recycling, students, teaching, waste on November 6, 2014 by Carl Zimring.